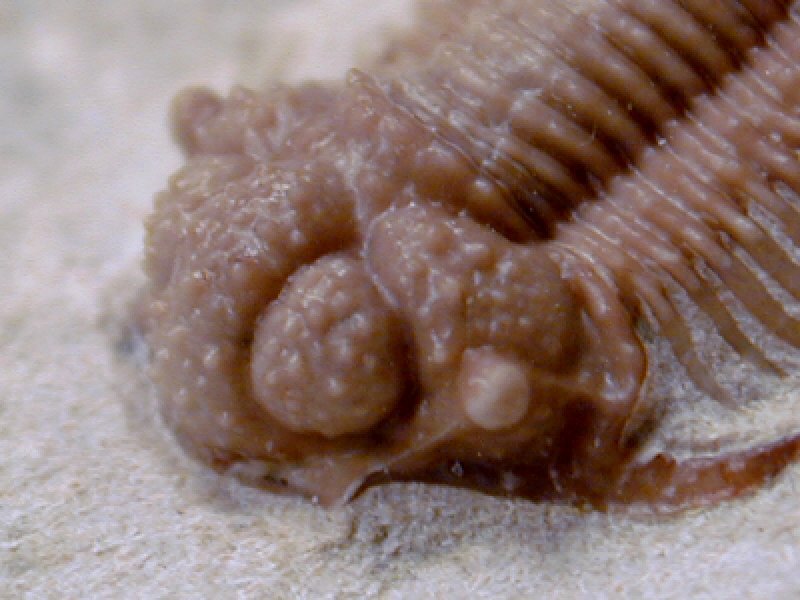 This is an extremely rare trilobite of the Order Lichida, affectionately referred to as “Bug X” by its discoverer, the master preparator Bob Carroll of Clarita, Oklahoma. 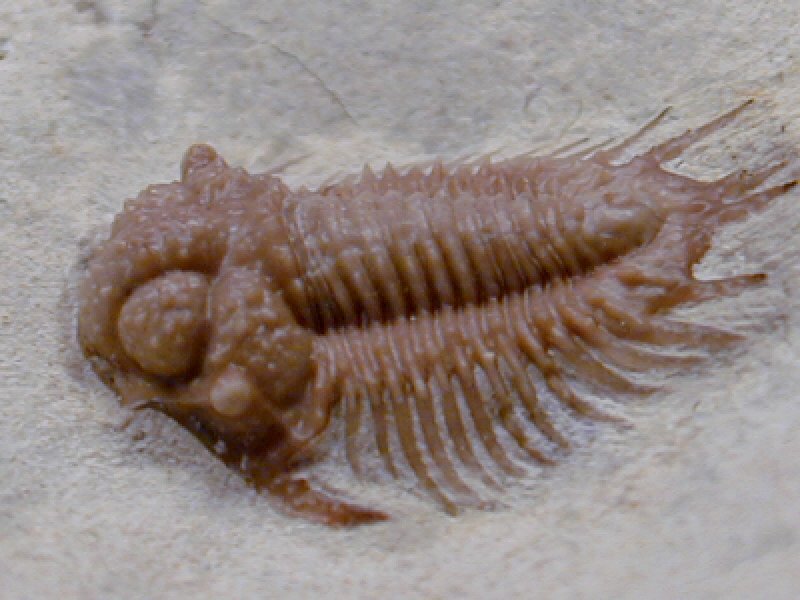 It has reecently been determined by Dr. Bruce Lieberman, Associate Professor of Geology of the University of Kansas to be Acathopyge consanguinea, a taxon originally described from a partial speciemen found in New York. 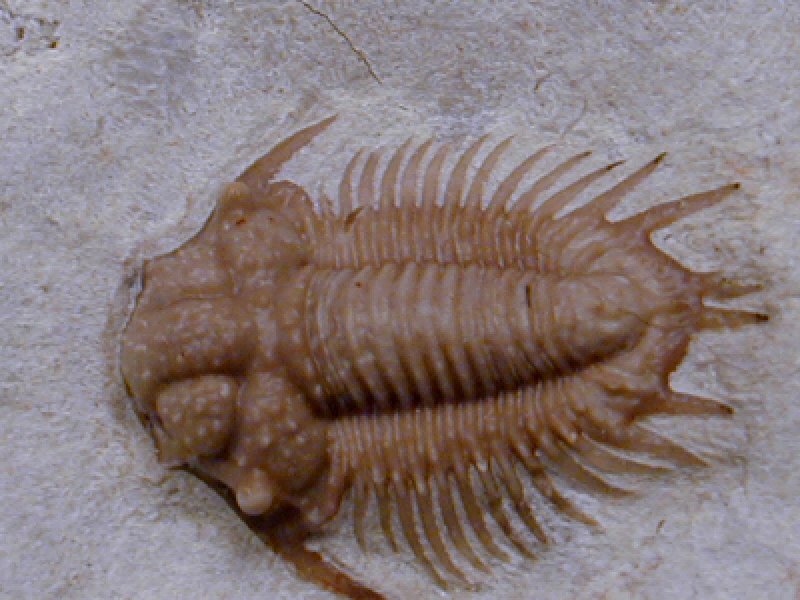 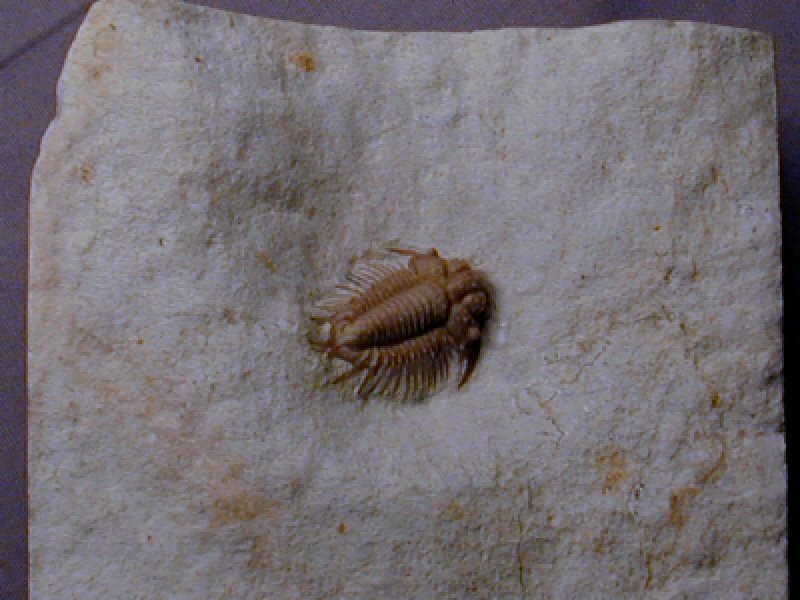 It has affinities with the Moroccan genus Lobopyge (see Moroccan trilobites for an example). 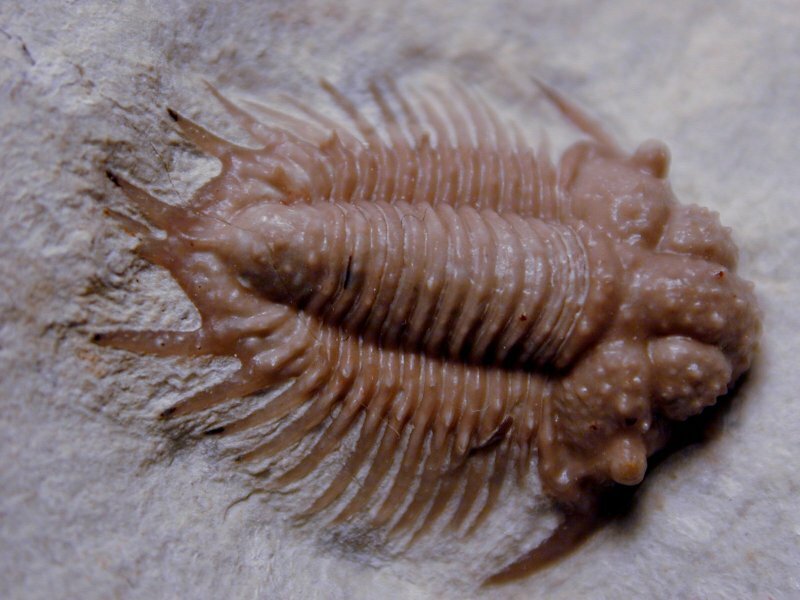 In the 18 years of dedicated searching, he has operated a quarry located near Black Cat Mountain, Bob has only found some 30 examples of this rare trilobite.